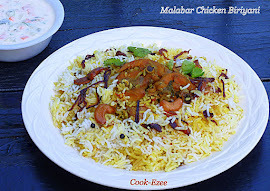 This recipe marks my 100th blog post, its been three years since I started this blog. Three years and just 100 posts, sounds nothing right? I know. I'm not claiming of accomplishing something great but yes I'm really happy that I could keep this blog alive. My son was around one year when I started this blog and I thought this is something that can keep myself engaged and lively since I stopped working from quite sometime. This blog was born because of my friend Shifali. When she gave me the idea of blogging I knew nothing from how to start the blog to how to keep it alive. I started posting couple of recipes whenever I find time but I was not in touch with anybody in blogger's world since I didn't knew how it works or I didn't even knew things like reaching out to other blogger's profile or commenting on other's recipe or giving any kind of publicity to this blog that can generate traffic or rather I didn't even give it a thought that way and I was happy in 'my own world' putting up some recipes and pictures and writing my experience behind some of the recipes. Days passed by and I totally forgot 'my blogger baby' from the time I was expecting my younger cutie as I was too busy taking care of my son who was still a baby then and I was fully involved with my sweet little family. I'm really thankful to one of the wonderful cookys group 'fc' in Facebook where I started posting my recipes a year back. When things started picking up and many among the group started appreciating the recipes tats when I remembered my poor little blogger soul which I ignored. I slowly started posting recipes in my blog and many thanks to all those wonderful readers, blogger friends and followers who took sometime to stop by my little space and leave some valuable comments. 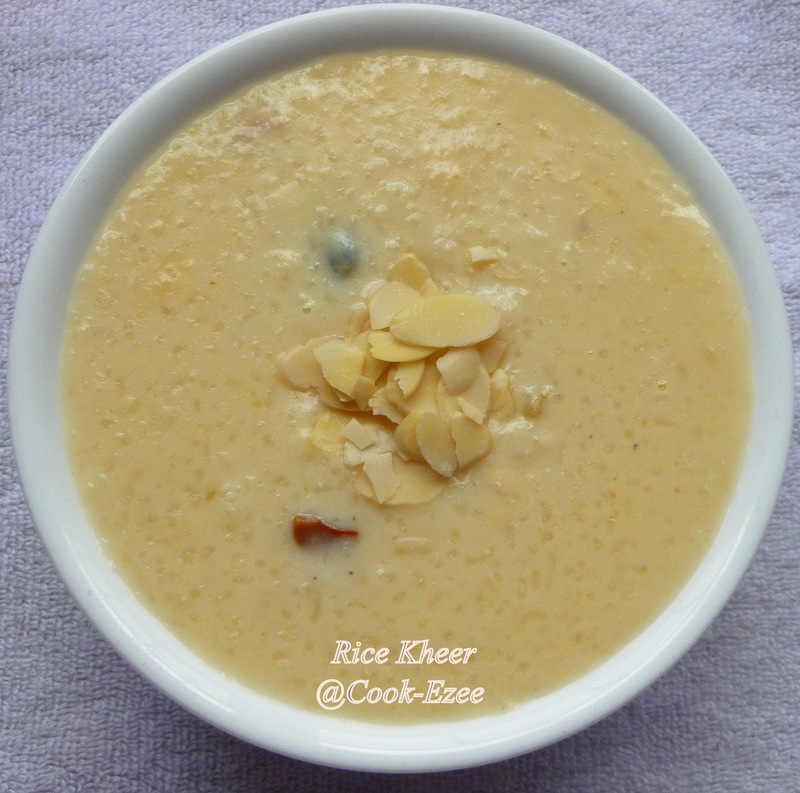 I'm sharing this delicious Paal Payasam/Rice Kheer as my 100th recipe. Enjoy!!!!! Paal Payasam as we call it in Kerala is one of the simplest Payasam/Kheer that can be made in very less time. 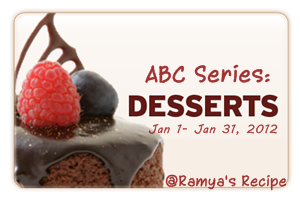 The pressure cooker preparation makes it more easier and kids just enjoy this lip smacking dessert. 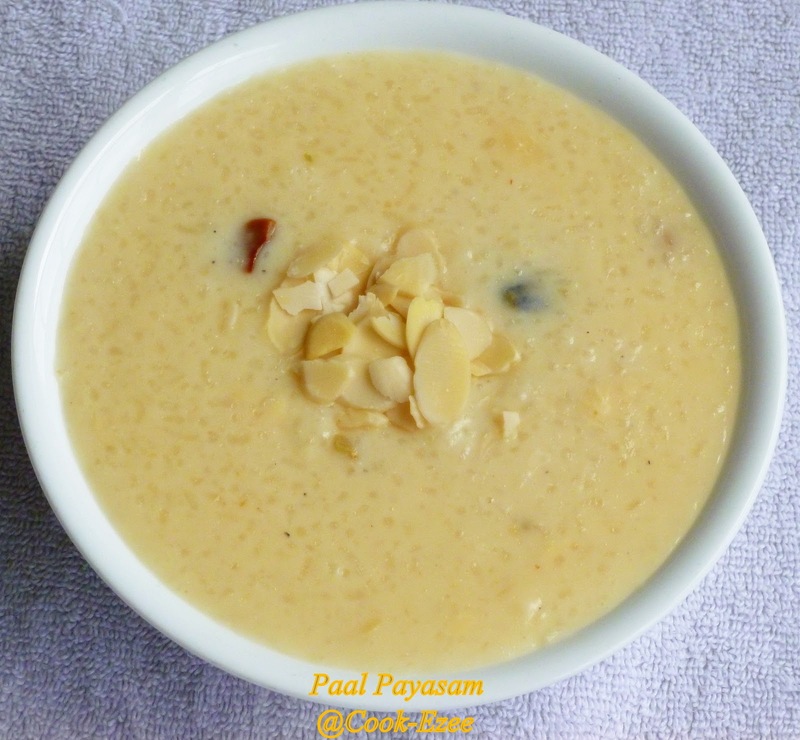 My son sometimes have this craving for payasam's and I prefer making 'Neypayasam' since I feel for kids ghee and jaggery is better and healthier option over sugary payasam. My son sometimes comes up saying 'I want White Payasam' and then this is what the quickest one I make. So guys here is my way of making ezee Paal Payasam. Wash the rice well two tothree times, drain the water completely and set aside. Heat up a pressure cooker, keep in temp in medium heat. Pour ghee, saute cashews and raisins till cashews are golden brown and raisins pop up. Take out and set aside. 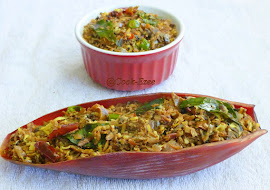 Add rice to the same ghee and saute for a minute or two so that rice absorbs the aroma of ghee. Pour water to the cooker and stir well till the bottom of the pan. Cover and pressure cook for two to three whistles and switch off the stove. Let it cool completely. Open the pressure cooker, pour the milk and stir well till the bottom of the pan and switch on the stove. Bring the milk n rice to boiling and let it cook for five minutes. Keep stirring in between so that rice do not stick to the bottom of the pan. Switch off the stove and add roasted cashews and raisins. Serve warm or chilled topped with slivered almonds. You can use a tin of condensed milk instead of carnation milk, make sure to reduce the amount of sugar then. If you do not have carnation milk or condensed milk add two more cups of milk and let it boil in low-medium heat for another five-ten more minutes stirring in between. You can add only roasted cashews and raisins or only slivered almonds or pistachios instead of adding both. 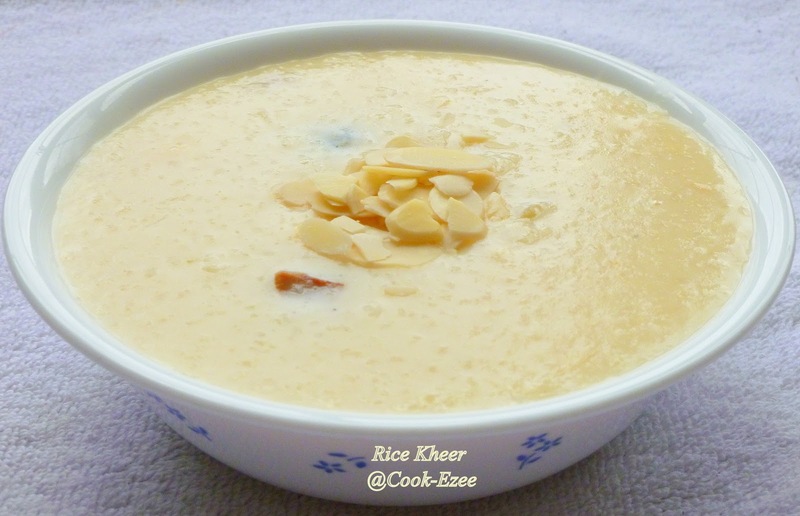 I like to add slivered almonds a lot that gives crunchy bites in the payasam. congrats dear....payasam looks really delicious..
Congrats dear,payasam looks so delicious and creamy....tempting. Congrats on your 100th post dear, way to go, love the payasam, save some for me.. Thanks a lot for the wishes Namitha, I'm glad that you r here to wish me on my 100th post..
looks delicious....congrats on your 100th post!!!!! Congratulations of the 100th post, looking fwd to many more recipes from you. Congratulations on your 100th post. I too have a little one and totally understand what you might have gone through...This is my favorite payasam and it looks delicious. Love the pictures Pratibha! They're WOW! 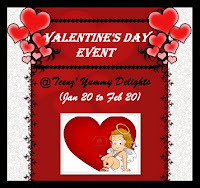 :) Thanks so much for linking it to my event. 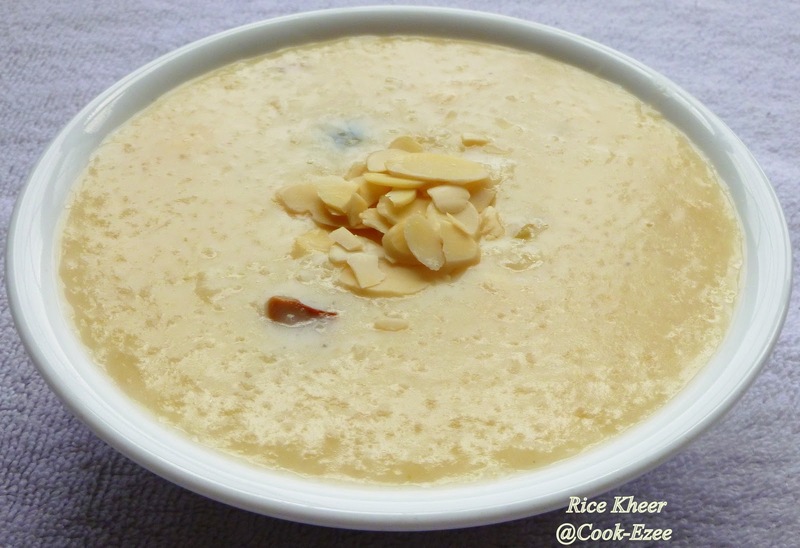 Congrats on your 100th post and the kheer looks awesome. The kheer looks rich n tempting..